A team from Amateur Astronomers Association, Nehru Planetarium, Delhi arrived in the small town of Sasaram, Rohtas (Bihar) to witness the longest Total Solar Eclipse of the century on 22nd July, 2009. 25 enthusiastic astronomers reached Sasaram on 20th of July, 2009 and conducted preparatory eclipse workshop at St. Paul School. Students and faculty were made aware of solar eclipses and safe techniques to view them. Free Solar goggles were distributed among the students. also conducted for the students. The efforts of the team were highly appreciated by the locals. Local media also contributed by giving extensive coverage to the activities of the team. equipments at the selected sites. present to witness this rare celestial event. During totality, as the darkness engulfed the skies a few stars and planets such as Venus, Mars and Jupiter became visible, the temperature dropped suddenly and the wind flow increased. All those present gaped at the celestial phenomenon with awe. 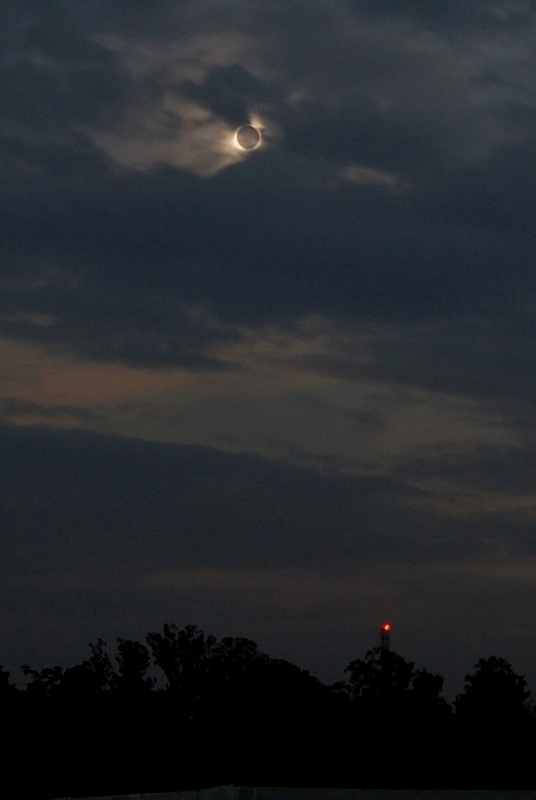 Sasaram became the only place in Bihar from where total solar eclipse could be observed. The team was ecstatic with the experience and are now eagerly waiting to get under eclipse shadow again on Jan 15, 2010.